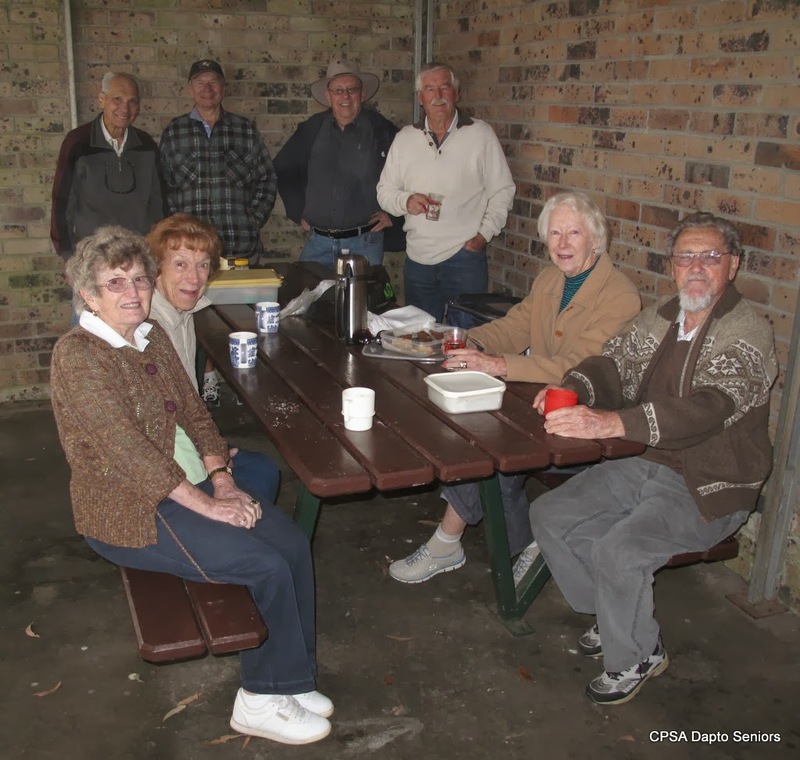 CPSA Dapto Seniors: What's Happening? Nearly 20 members took part in a picnic at Fitzroy Falls on 3rd October 2013. This was not our regular subsidised picnic but an extra BYO event. Unfortunately the weather was not the best and at one stage it looked like being called off but the weather improved slightly and the picnic area was under cover so it ended up being an enjoyable day out. After eating lunch the weather cleared so many members decided to walk to the falls and the viewing platforms. What had looked like being a wash out turned into a memorable day - so much so that it looks like the experiment will be repeated next month. More details at a future meeting. A big 'Thanks' to all the people who gave a lift to those members without transport. The next bus trip is to Parklea and Flemington Markets there are a few seats left so get a ticket before the meeting. It is only $10 to go on this fantastic trip. Remember the market trips are on a Sunday. The November bus trip tickets go on sale at the next meeting too due to the overlap in dates. The tickets are only $15 which includes the bus and garden entry. Chinoiserie is a very colourful plant collector's garden which will bring much pleasure to all those who visit. It features many rare and unusual plants. This garden (1.25 acres.) features a spring time display of over 100 varieties of peonies - Chinese, Japanese, European and American Tree Peonies and herbaceous borders which flower from spring through to late autumn. The club's spring holiday to Moree leaves on Sunday 13th October. We meet at 6am outside the hall. Twenty five members are going so it should be a good trip. Everybody knows exercise is good for you - the exercise group meets every Thursday at 12.30pm to take part in exercises under a professional tutor. All members are welcome to join, the first session is free and thereafter a mere $3 to cover the cost of the tutor. Why not try it? Just turn up next Thursday in the hall.